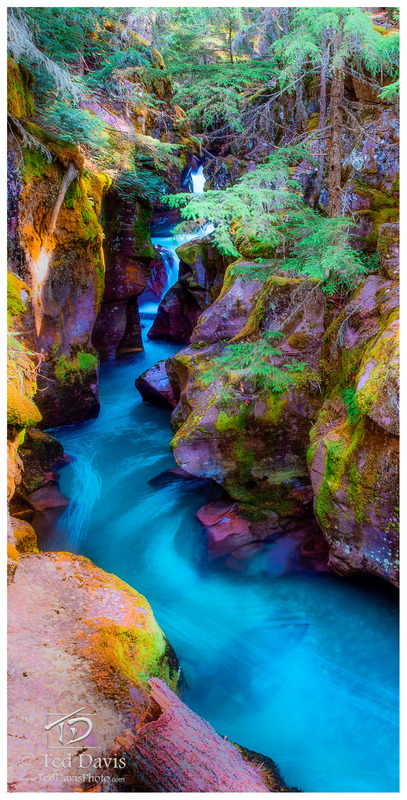 A Narrow canyon in Galcial National Park that is renowned for the glacial silt that gives this aqua stream its amazing color. The color of the streams and rivers are almost unbelievable to see, until you're there in person. That was my drive to capture this shot. Photo © copyright by Ted Davis.